Note: this ride is from Tom Holub’s Berkeley Death Ride Web Page. This local self-supported ride is highly climbing intensive! In summary, there are 6 “Death Climbs”, with two of them exceeding 20% grades. The other 4 climbs are less steep but longer. 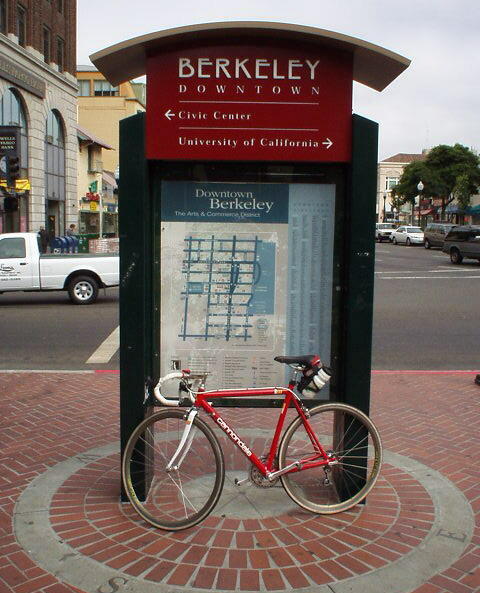 See Tom Holub’s Berkeley Death Ride Web Page for a description of the ride. If you follow his route, I strongly suggest you take a local Berkeley map with you because it is missing a little bit of information. (I did not bring a map, and got lost many times following his directions!) Or you can follow the route sheet below. 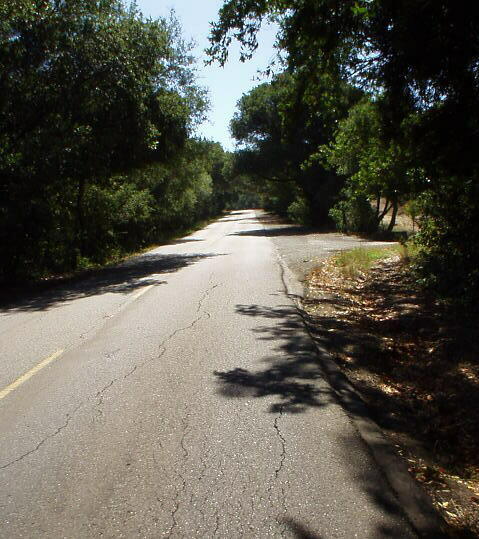 It is slightly different than Tom’s route, but is slightly simpler and yet goes up the exact same climbs. The main difference in our routes is how to get down to Centennial. 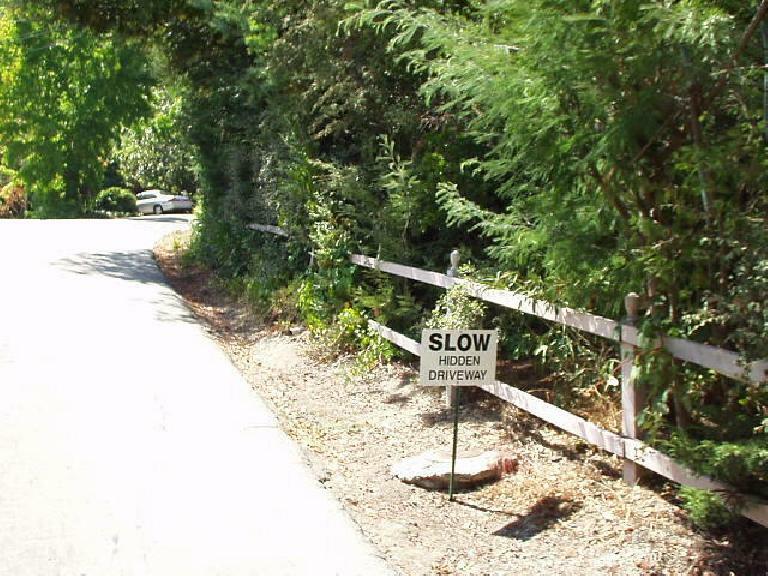 He describes descending down Shasta Rd. through numerous switchbacks and neighborhoods, but by doing so I couldn’t find any of the streets he mentioned to get to Centennial Rd. Hence in my route sheet below I simply say “go down Centennial from Grizzly Peak and come back up”–which is more boring, but a lot easier to follow. R (north) on Shattuck. Shortly after is a community park where there’s a restroom around the building. R (south) on South Park. Death Climb #2. L (west) on Centennial Rd. Make a U-turn at the bottom (in front of a fenced UC Berkeley field) and now go back up Centennial Rd. to Grizzly Peak. Death climb #3. R (east) on Wildcat Canyon. Descend all the way to San Pablo Dam Rd./Camino Pablo. 2 R (south) on Camino Pablo. R (east) on El Toyonal. First Half of Death Climb #4. Keep going up Toyonal. Eventually it descends. Descend down until 1/2 mile from where El Toyonal deadends (there is a warning sign). R (west) on Lomas Cantadas. Last half of Death Climb #4. 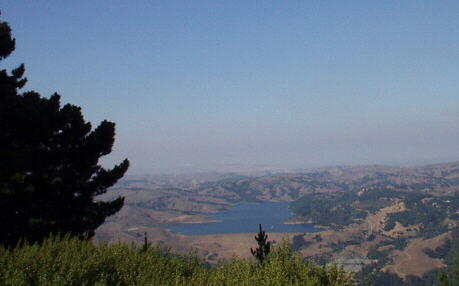 L (south) on Grizzly Peak. 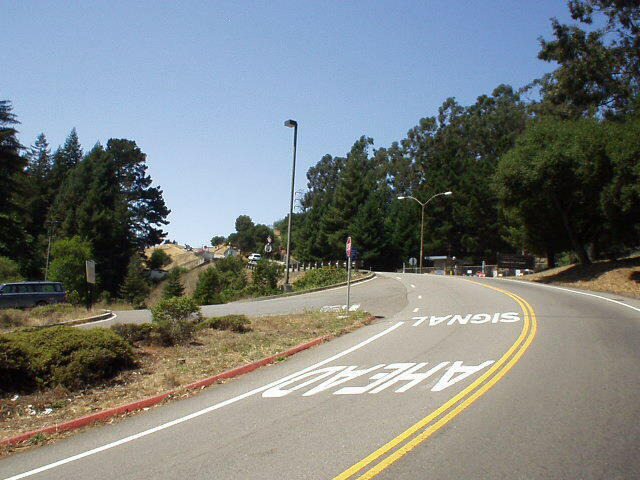 Go all the way down to Skyline Blvd. R (west) on Skyline Blvd. Becomes Tunnel Rd. 2 Go up Claremont Ave. Death Climb #5. Make an IMMEDIATE L (north) on South Park Rd. It is unmarked, but is by parking lot. .3 Go straight on South Park. 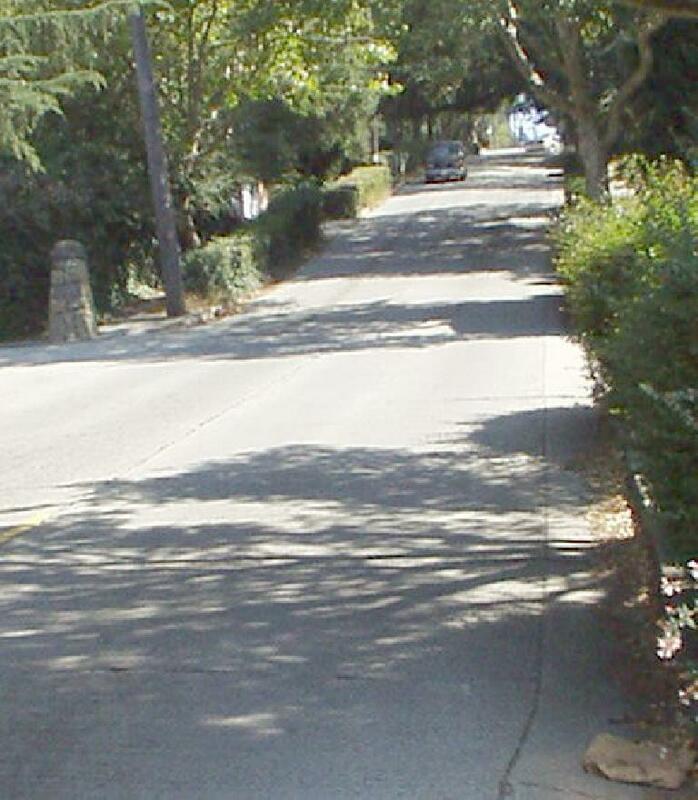 There is a gate to a paved footpath on the right. Dismount, carry your bike around the gate, and go up footpath. Follow footpath up. Seems to go around Vollmer Peak at first, but eventually goes up. Just keep bearing left everytime you hit a fork. After last fork, 20% grade up to Vollmer Peak. It is short, and this is it! The top and last Death Climb of the Ride! 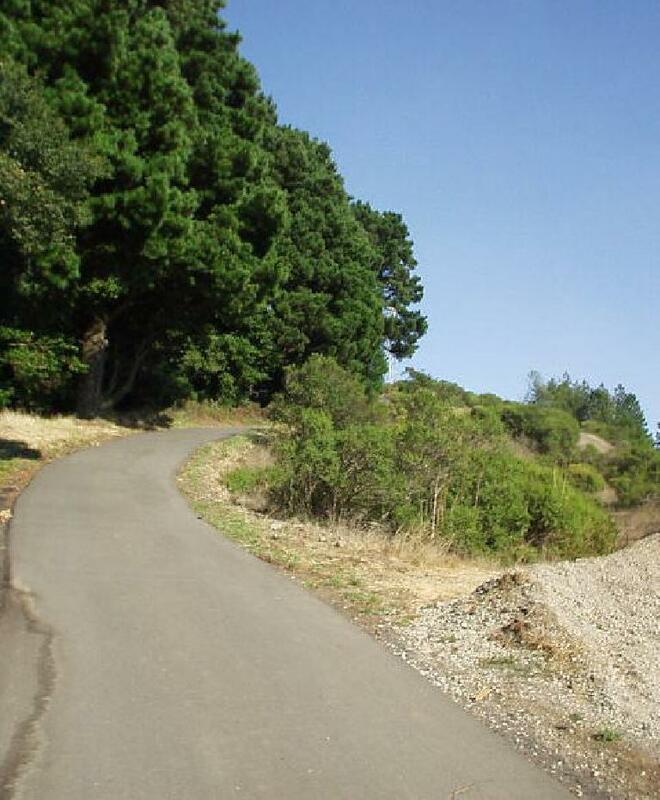 Go back down footpath to Grizzly Peak. 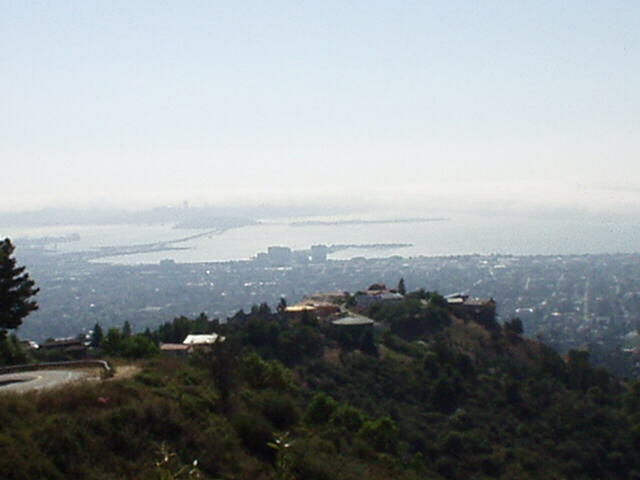 L (south) on Grizzly Peak. R (west) on Claremont Rd. (which you ascended as Death Ride #5 earlier). 1.5? L on Adeline St.
Maybe 45? .5 R at Ashby BART station. This is the end of the ride. Congratulations! I took the BART for the second week in a row to start a weekend ride. I didn’t have a map but followed Tom Holub’s directions from his web page. Unfortunately, I got lost several times, but eventually found my way to the climbs. 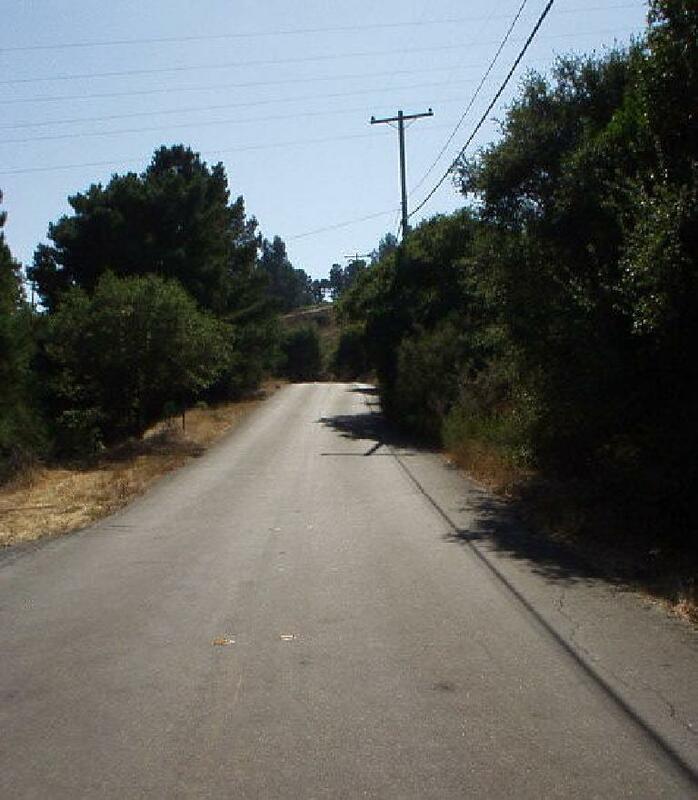 The first time I got lost was descending Shasta Rd. 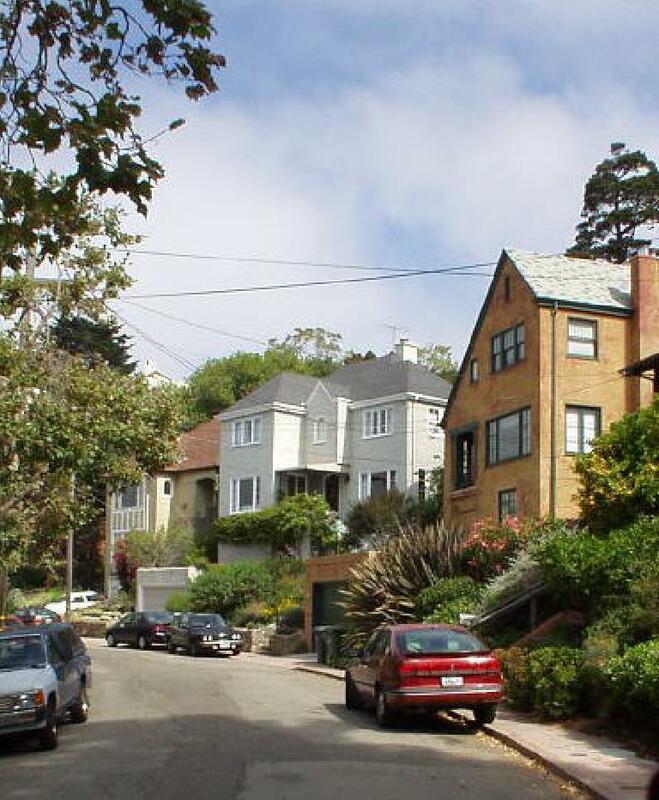 It switchbacks through Berkeley neighborhoods and I had no clue where La Loma was. So I went back up Shasta Rd. (a mini-“Death Climb” in itself), to Grizzly Peak, to Centennial Rd. I descended it completely, and then came back up. The 2nd time I got lost was trying to find the 2nd half of Death climb #4: Lomas Cantadas. 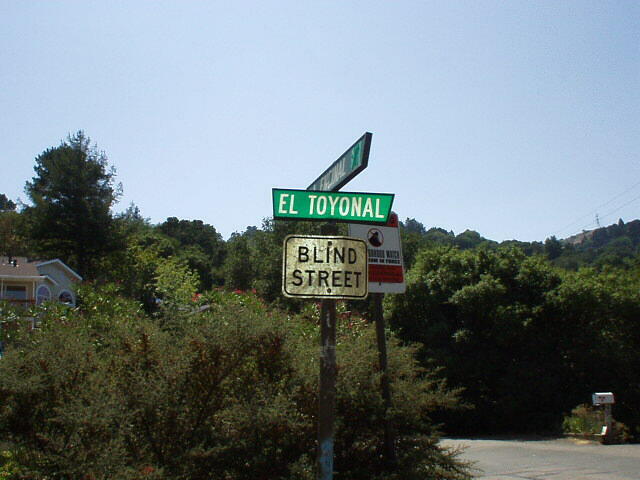 It does not intersect with El Toyonal, contrary to what’s implied on Tom’s route description. I ended up going up and down El Toyonal no less than 3 times, and then explored many neighborhood streets that came off of El Toyonal. Finally, after making a left on Vista del Orinda, I found Lomas Cantadas. The lsat time I got (slightly) lost was on Claremont Blvd. Intersecting Ashby, it then forks into Claremont Blvd. and Claremont Ave. Tom’s page says “make a right on Claremont Blvd” so I followed Claremont Blvd. Unfortunately, I did not read down much further where it says “go up Claremont Ave.” I knew I had to go up Claremont, however, and soon it became obvious that Claremont Blvd. would only go deeper into Berkeley, so I turned around and went up the avenue. Anyway, enough about getting lost. This was a splendid ride! Despite the number of climbs (and I did about 9 significant climbs instead of 6, for a total of 60 miles, due to getting lost), it was not impossible. The key is to stay within yourself, and minimize going anaerobic. If you take your time going up the climbs, everything is manageable, esp. since most climbs are pretty short. I highly recommend it to anyone who likes bike climbs!